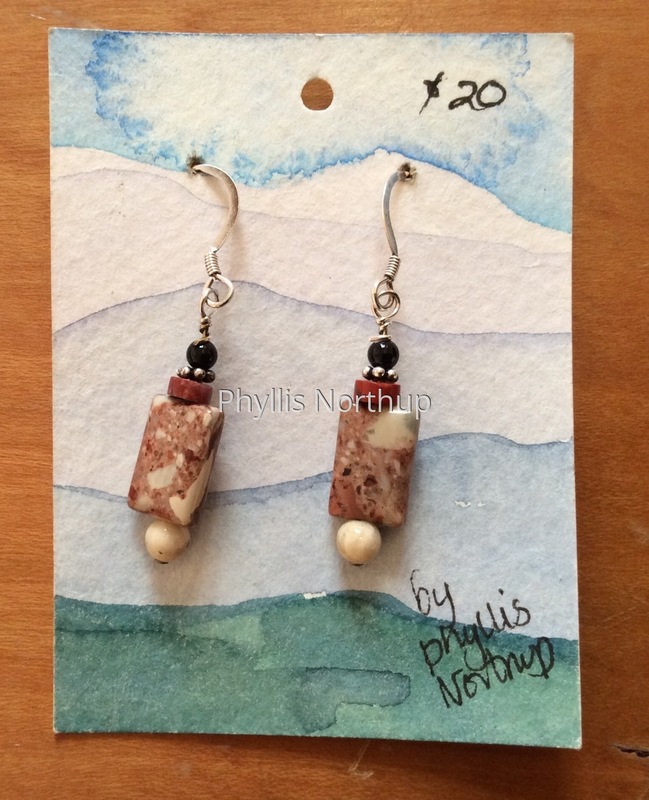 Earrings of red jasper, rainbow brecciated jasper, riverstone, onyx and sterling on sterling ear wires, presented on a hand painted mountain card. Specially priced at $20 for the holiday. Shipping included.